i adore making collages, but i have been slacking recently, so i'm determined to fill up this a5 sketchbook by my eighteenth birthday, which is on the fifteenth of july. i hope everyone is having a lovely sunday, my mum and i were originally going to sell some bits and bobs at our local car boot sale, but it was raining when we woke up, so we have decided to stay at home in out pajamas instead! did anyone get any good bargains today? love, jazzabelle. Good luck with your collage, I am not very good at keeping them up! I cant wait to see the final result. I was meant to be going to a car boot sale to sell these rose head bands I am making, but the rain put me off also! 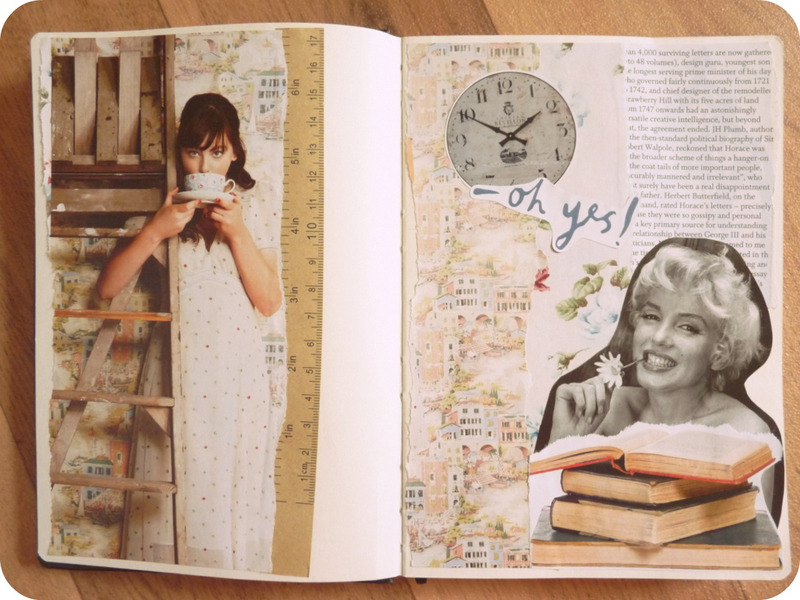 good luck with completing your sketchbook, from what i can see it looks great so far! i didn't get any good bargains unfortunately. my friend who works in peacocks gave me a 40% off voucher so myself and my mum went for a wander round the town.. only to find absolutely nothing that i wanted to buy! *sad face* but i'm going to go round all the charity shops in town tomorrow after college to hopefully pick up some unique bits and bobs. Beautiful sketchbook. I keep telling myself I MUST do things like this but never have the time! 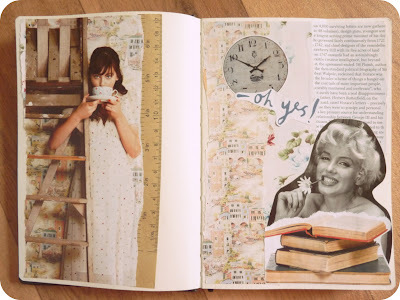 I adore getting lost in collages!